The nature of competition and success is being completely redefined because preconceived ideas are the death of innovation. In order to recognize and capitalize on the disruptive environment taking place around the world the truly successful organizations are using a holistic and systematic approach to developing a responsive business model and culture. This is achieved through a process we call Dynamic Thinking & Structured Innovation (DT&SI). DT&SI creates a people centered culture (versus technology centered culture) based on human agility in integrating all of the capabilities to respond to opportunities and challenges. These capabilities are comprehensive including competitive landscape analysis, IT, products & services, customer services, manufacturing, sales and marketing, finance, administration, policies and procedures, technology, and more. 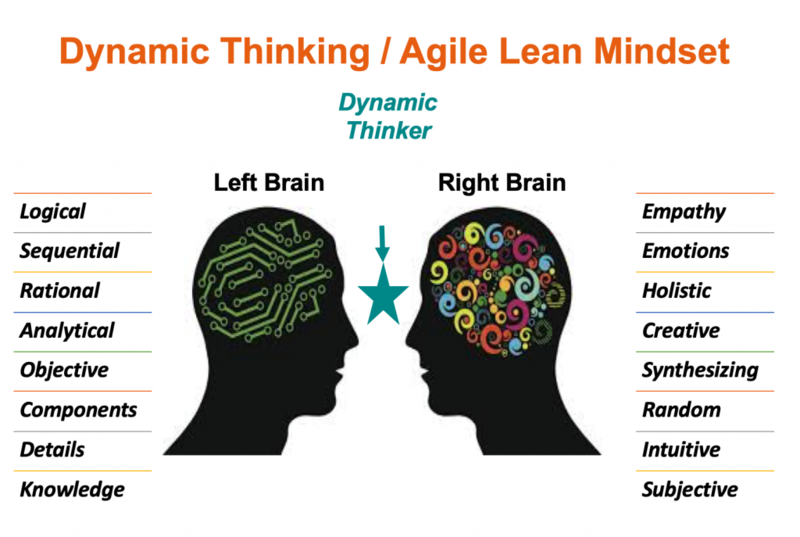 Introduction of the Dynamic Thinking / Agile Develop a vision of the environment and competitive landscape of the future (5 to 10 years), human resource demands, technological demands, new competitors, investments, etc. Acknowledge that the perceived future state requires arriving at a collective view of how these changes to the environment will impact the success of the organization. Based on the disruptive changes taking place in the environment, what are key “must haves” and “nice to haves” needed to succeed? What are the important skills and competencies required by the workforce of the future? What does the culture of the organization need to reflect to attract the talent to achieve sustainable competitiveness? Clearly define the areas where improved performance is necessary to achieve the desired future state across the organization. The winning organizations of the 21stCentury are realizing that governing boards and leadership require a people centric, opportunity seeking approach to envisioning, evaluating and acting on opportunities and solving problems. They achieve this through incorporating design thinking and structured innovation into the DNA of the organization.